During the summer of 2017 we sprouted old seeds on this work of Maxi HdB with the intention of selecting the specimens that best adapted to the indoor conditions, but we were suffering a very strong heat wave that ended with all the individuals except one, an unusual phenotype of very sharp saws leaves and a shiny light green color. Finally it declared as a male and we decided to save it to carry out the appropriate stability tests before being used for reproductions. Our tests include environmental exposure to factors such as temperature, predation, pH, humidity, photoperiod and nutrient availability. This handsome bush-sized male, short internode during growth and thin green leaf, during its flowering phase explodes the stretch of branches that produce a large amount of pollen. It prefers large pots where there is room for roots, otherwise it grows much more columnar, something that we find positive for indoor growers. The female of this hybrid couldn’t be other than our already famous Old Afghan NLD phenotype of 70 days with great adaptability to flower in different types and cultivation techniques. 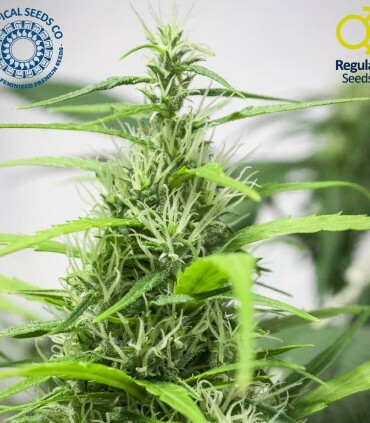 With it we wanted to achieve our final purpose of obtaining plants of sativa tendency with very good capacity to produce large blooms both indoors and outdoors in different conditions showing great stability and resistance. We have opted for this new version of one of our oldest hybrids where you can get plants with predominance at most columnar ports, but easily working its structure we can get long branches that produce heavy colas that at the end of flowering may need support. Preferably it is recommended to leave the time necessary for its maturation, approximately between 90-110 days, where we can appreciate the maximum potential of its citrus aromas with some dark touches like animals/ leather. Energetic and powerful effects can be found both cerebral and physical, so it is recommended to be careful in its use by novice consumers. After this time of work refreshing these old lines we have created this hybrid that is very rewarding to growers, so we really want to continue with this project to see all the potential that it can really offer us and that you are sure to find it. 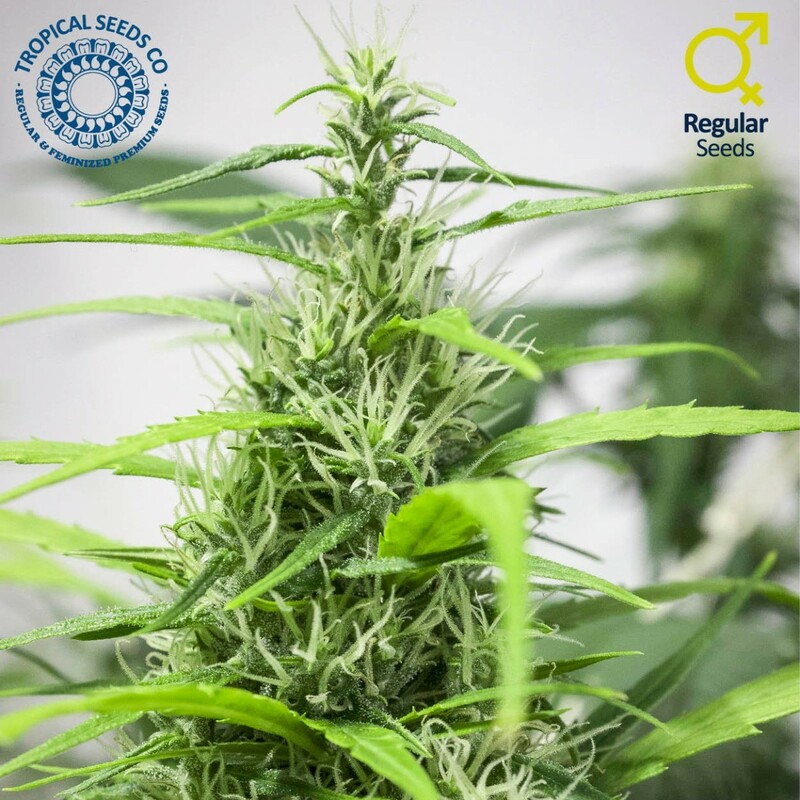 We are convinced that it will be a hybrid that will mark a new style within Tropical Seeds Co.
Yield: Mid yielder, with some above the average forming huge arms when having space indoors & outdoors. Aromas: Citric, acid and animals/leather. Effect: Energy to work all day long, cerebral buzz, excellent sativa based hybrid with relaxed end.